The design brief of our client was to provide an integrated Home Cinema system that would tastefully blend with the intended decor of the room. 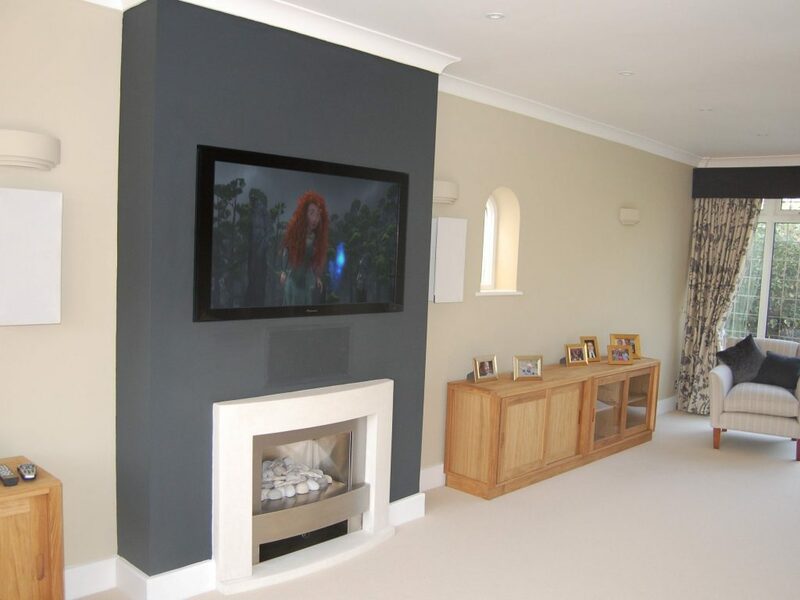 It was decided that the depth of the chimney breast should be increased by 130mm to enable the 50″ plasma screen to fit flush providing a clean. PMC Wafer 1 speakers were chosen for the left, centre, and right speaker positions due to their performance and design. 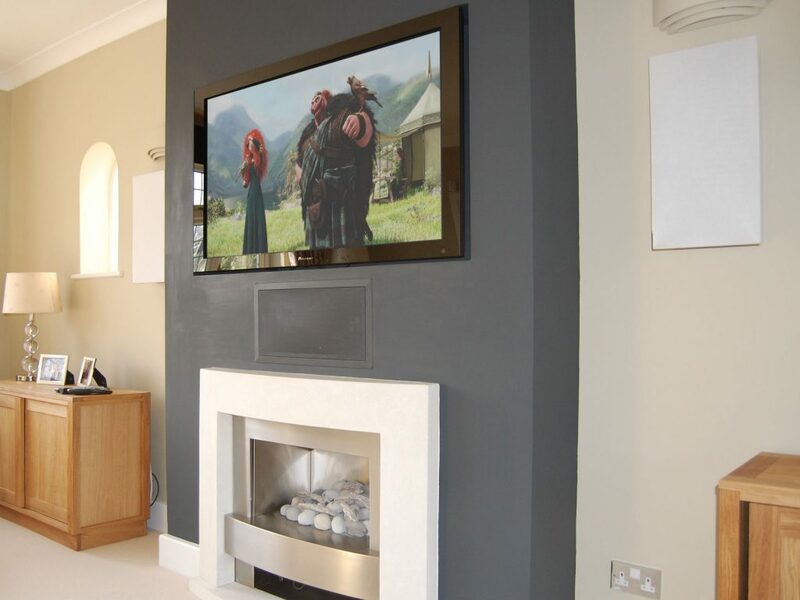 The centre speaker is the in-wall version and painted to match the chimney breast, located beneath the wall lighting. KEF Audio in-ceiling speakers were chosen for the rear speaker location. 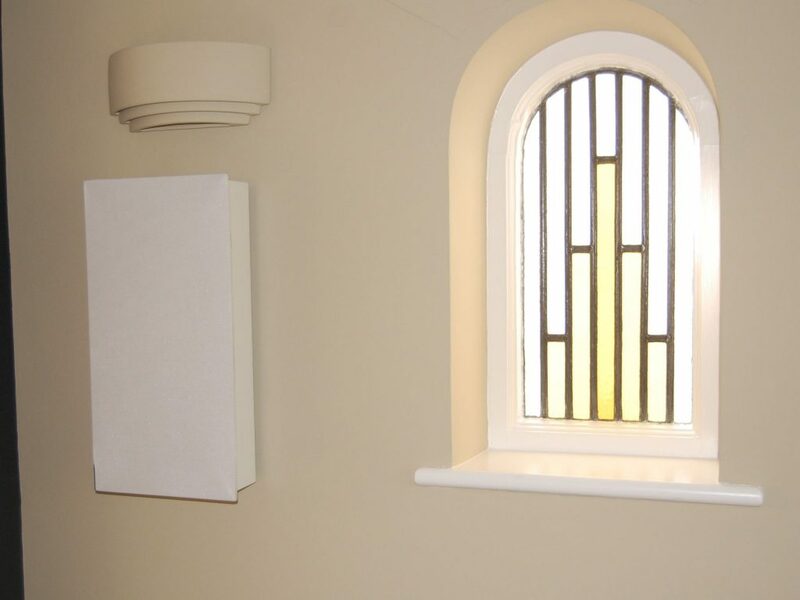 The speaker grille and bezel was painted to match the ceiling colour and retain a clean style within the room. The speaker positioning provides fantastic imaging and scale. 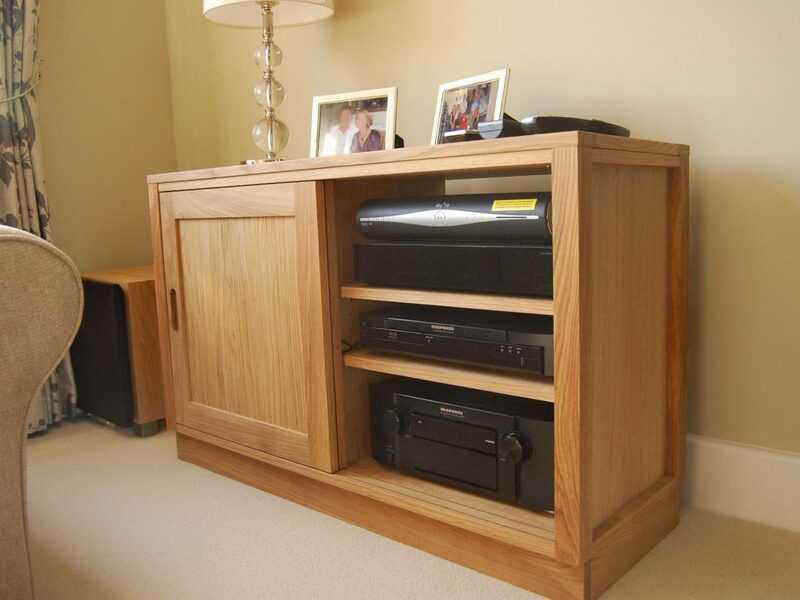 The light oak veneered furniture conceals the Marantz AV Receiver, Blu-Ray Player, and Sky HD Receiver, whilst a REL Acoustics Subwoofer has been installed to the left of the equipment furniture. The presence of the subwoofer adds depth and increased dynamic to the Home Cinema sound stage.